Leslie Iannetta - Permanent Makeup Center Inc.
Leslie Iannetta, has owned and operated Permanent Makeup Center Inc. (PMCI) for twenty years. Leslie began her practice in Maui, Hawaii, and has since relocated to Long Island. 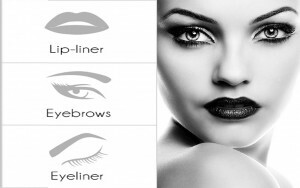 Leslie has been in the beauty business specializing in makeup artistry and permanent makeup. While working with her sister Lisa (owner and operator of Pestana’s Place Salon in Kailua, Hawaii0, Leslie was also attaining a BF A at the University of Hawaii. During her tenure at Pestana’s Place Salon, Leslie trained under Dr. Dixon (the President of American Academy of Permanent Cosmetics) in Kailua, Hawaii. The delicate art skills she developed while in school and hands on experience with Dr. Dixon is what lead Leslie to specialize in the artistry of permanent makeup. Now a pioneer with over 20 years mastering several methods and techniques. (I.E. Sof Tap Intro/ Advanced, American Academy Intro/ Advanced, Premiere Intro/Advanced, John Hashey Technique). Leslie has also gained experience with all skin types (ethnic, fair and sensitive) as well as extensive experience preparing unsatisfactory procedures from inexperienced cosmetic technicians She has also earned the respect of several plastic surgeons for her work in correcting scar tissue and areola restoration.